When you’re trying to eat healthily, sugar is your enemy. It goes without saying that you need to cut out sugary drinks and snacks but that doesn’t mean you’ve cut out sugar entirely. There are a lot of foods out there that are marketed as healthy which are the absolute opposite. Low fat foods are particularly tricky because they often make up for the loss of flavor by adding more sugar. If you swap out all of your normal foods for these so called healthier alternatives, you’ll find yourself struggling to lose weight without knowing why. Consuming lots of sugar is bad for your health in a lot of ways. Even if you aren’t getting a lot of fat in your diet, the sugar you eat will turn into fat in your body and you’ll still put on weight. It’s also bad for your teeth so you might find yourself needing the services of www.123dental.com.au. It also affects your mood because you experience a sugar high, followed by a crash, this is made worse by the fact that sugar is highly addictive. In extreme cases, a high sugar intake can lead to serious medical conditions like Diabetes. Even when you’re trying to watch what you eat, you could be putting yourself at risk by eating some of these hidden sugars. When you’re cutting out sugar, fizzy drinks are usually the first thing to go. People often replace these drinks with fruit juice. They do have more nutritional value than a soda, but the benefits end there. Fruit juice actually contains just as much sugar as fizzy drinks and you’re likely to consume more juice than you would soda because you think it’s healthier for you. A small amount of juice is fine, but don’t make the mistake of thinking that you can drink as much as you like. Cereal is a popular choice for a healthy breakfast but most of the store bought varieties are packed full of sugar. There are sugar free varieties but you’ll have to check the labels carefully and they’re often more expensive. You don’t have to give up on cereal entirely, but it’s often better to make your own. It’s cheaper and you’ve got way more control over what goes in there. This healthy granola recipe is simple to make and far healthier than anything you can buy in a store. You can also make it granola bar form for a snack on the go. Bread is a big part of a lot of people’s diets and while you might have cut down on it to avoid carbohydrates, even a little bit can massively increase your sugar intake. White bread is particularly bad for you because of the amount of sugar in there but even some of the wholemeal varieties have a high level of sugar in. Making your own is an option but it can be quite time consuming. If you don’t have the time to make your own, always be sure to check the labels carefully to find loaves without sugar in them. Yogurt is another food that is often marketed specifically at people that are trying to eat well. There are countless recipes for cereal with yogurt instead of milk etc. 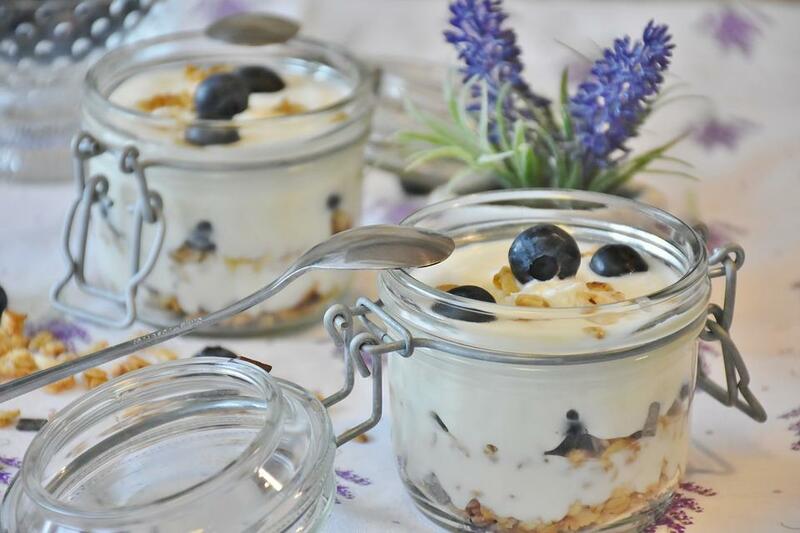 Yogurt itself isn’t bad for you and the bacteria in it is good for your digestive health. However, when it comes to flavored yogurts, it’s a bit of a minefield. The likelihood is, any fruit flavored yogurt that you buy is going to be filled with sugar so it’s best to buy a plain yogurt and add your own fresh fruit instead. Even if you spend ages planning and cooking a perfectly healthy meal, you can ruin that in seconds by putting condiments and sauces on it. Some of them are well known dangers, like tomato ketchup. But a lot of people don’t realize things like Teriyaki sauce are also filled with sugar. Most of the time, the normal ingredients in these sauces don’t include sugar but the ready made store bought varieties have added sugar in them. If you make them yourself instead, you can cut out all of that sugar. Avoiding sugar entirely is getting harder and harder but it’s vital if you’re determined to have a healthy diet. Most of the time we get a lot of sugar from foods that would normally be healthy if we made them ourselves, but the store bought varieties use sugar as a shortcut for flavor. Taking a bit of extra time to make things from scratch is the easiest way to control your sugar intake. it is really hard to cut sugar from your diet especially if you’ve been using it for like forever. But if you really want to be healthy and live a nutritious and happy life, then cut some, you’re not going to entirely leave it out from your life anyway.